Michael Charles Avory was born 15 February 1944 in East Molesey, Surrey, England. 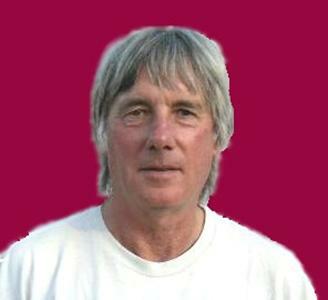 He was drummer and percussionist for The Kinks, from shortly after their formation in 1964 until 1984. 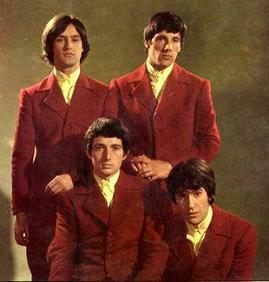 With the other original members of The Kinks, Ray & Dave Davies and Pete Quaife, he was inducted into the Rock & Roll Hall Of Fame in 1990, and into the UK Music Hall Of Fame in 2002. Since leaving The Kinks Mick has been a member of Shut Up Frank, The Class of 64, The 60s Allstars and The Legends of the Sixties, and has for the last fifteen years been a permanent feature of the Kast Off Kinks. He has kindly consented to an interview for the Kast Off Kinks website. Many of the questions were derived from queries sent in by Kinks fans. KOK : What was your reason for wanting to join a band? Were you looking for fame and fortune, or did you just think it would help you pull women? MA : I actually joined the band through putting an ad in Melody Maker, as a drummer seeking Rhythm and Blues Band. I went for an Audition and they were playing the stuff I liked. As for fame and fortune, no one imagined it was going to develop into the world famous band it later became. Actually, my first impression was that they were gay, so I didn't have a high expectation pulling birds. KOK : Ray made the story of your audition very amusing, but somewhat embroidered, I imagine – I suspect you weren’t actually wearing a scout uniform (your appearance in a scout uniform at Ray’s recent Royal Albert Hall show was a brilliant comic moment, though). What were your first impressions of Ray, Dave and Pete - were you really taken aback by their camp appearance and behaviour? MA : No - actually I was wearing a Girl Guides outfit. [laughs] Yes I thought they were very camp and wondered what it was going to lead to. KOK : I believe you really were a sea scout though - did you join just to play the drums, just to make friends, or did you have any desire for a life on the ocean wave? MA : The Sea Scouts didn't have drums, that's the Boys Brigade! I mainly joined because a couple of my mates were in it. KOK : It is said that you had played several gigs with the Rolling Stones before you joined The Kinks. 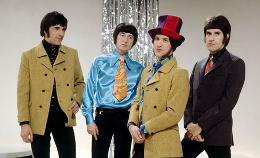 Did you have any doubts about joining and have you ever had any regrets that you decided to play with The Kinks. MA : No, I didn't actually play a gig with the Stones. I just rehearsed to do a gig with them, but it never happened. They told me they were looking for a permanent drummer, but I had a day job the other side of London and didn't envisage playing in a band for a living. It was two years later that I joined the Kinks and it was quite an adjustment for me, but I had no regrets, certainly not musically. KOK : At what stage did you think "I can give up the day job"? MA : Immediately. I was on television three days after I met them! KOK : Did you ever moonlight with other bands while with The Kinks? "my first impression was that they were gay!" MA : No, that wasn't allowed back then. KOK : What did you think of The Kinks’ management in the early days? MA : The management were hilarious and didn't have a clue, but kept me in laughs. KOK : Can you remember who decided on the Hunting Jackets look? MA : We had established an old English image by then, but I'm not sure who thought of the Hunting Jackets, maybe the clueless management. KOK : Did you enjoy the life on the road with The Kinks? The Kinks got a reputation for bad and excessive behaviour – was it justified, and were you a part of it? KOK : What is your recollection of the incident that led to the ban from the USA? MA : All a bit hazy now. But we did shows when the unions had called a strike and arguments started and the Kinks had their own strike, right on this bloke's nose. Actually, this is not a picture of the Kinks’ management! KOK : In the early days you were on tours with lots of other bands – what do you remember about who you got on with and who you didn’t? Have you got any good stories from those tours? 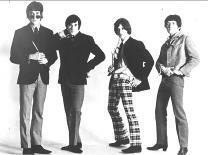 MA : Our first tour was with the Dave Clark Five and the Hollies. The Hollies resented DC for being top of the bill and the DC5's sound would mysteriously go off mid concert – it happened on three or four nights. So one night, DC ordered our tour coach to stop and threatened who ever the culprit was with a severe beating. He knew it was someone from the Hollies but had no proof, so caused an awful row with the Hollies and emotions got very heated. But at least he thought it would nip it in the bud, but it happened again soon after. The lights went out as well this time, I think poor old DC was Glad all Over when the tour finished! The Kinks were rookies at the time, so we got on quite well with everyone, particularly Graham Nash. KOK : Your relationship with Dave Davies appears to have been difficult, what was it really like? How much of it is an exaggeration? Was some of it just an act? You must have got on with him at first as you chose to share a house. We did share a house together, that was fun for a while. KOK : Is it true that you called your room in that house "Spunker's Squalor"? MA : I called the house “Spunkers' Squalor”, my room was “Whores' Hovel”!